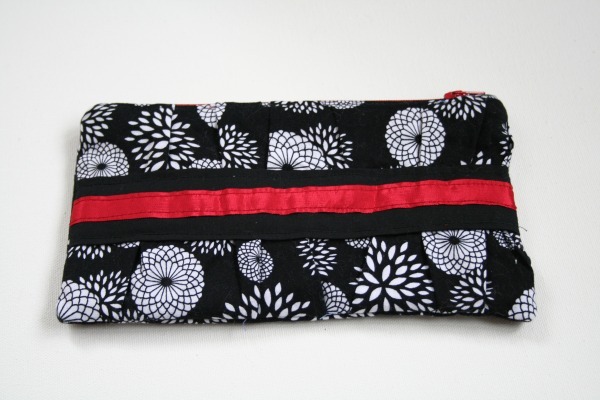 If you want a nifty little project to practice your zipper installation skills, hop on over to Noodlehead and try out her fabulous gathered clutch tutorial. I used some of the nylon from Rowan's raincoat for the lining. 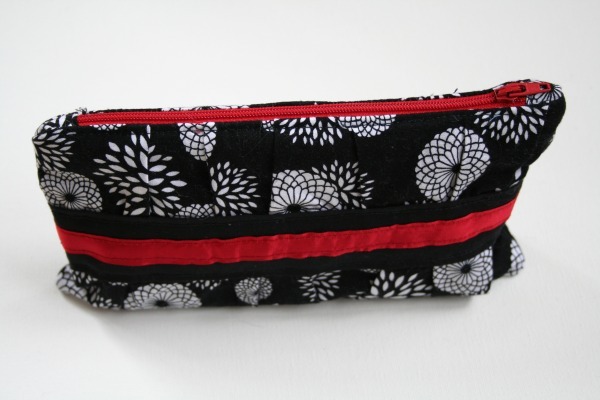 Perfect for transforming the clutch into a travel make-up bag! 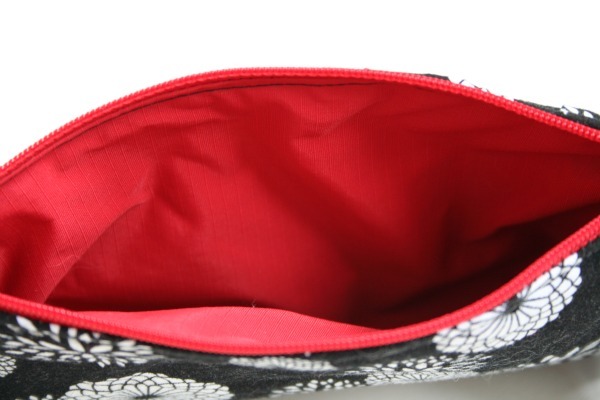 If a compact or eyeshadow were to flip their lids, the inside can easily be wiped clean. Yes, I'm aware there is a spider on my blog. 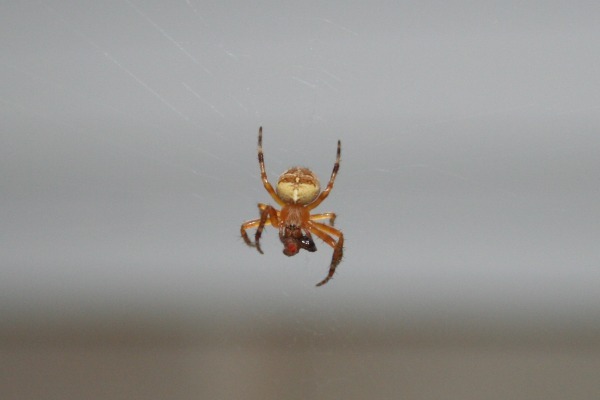 This lovely little spider spun a web over my fruit bowl and was doing a marvelous job of catching and consuming 90% of the fruit flies in my kitchen. Now, he/she is gone and things are getting out of hand. Please come back, little friend!! I don't want to have to set out unattractive fruit fly traps!